As an interdisciplinary scientist, my recent work reviewing and summarizing polar bear science fits cohesively into my career. In this essay, my 300th blog post, I explain in some detail why ‘polar bear expert’ describes me just as well as ‘dog evolution expert.’ In fact, I have world-renowned expertise in other specialties as well, which will amaze and confuse those who think that a scientist can only ever be knowledgeable about one topic in their lifetime. 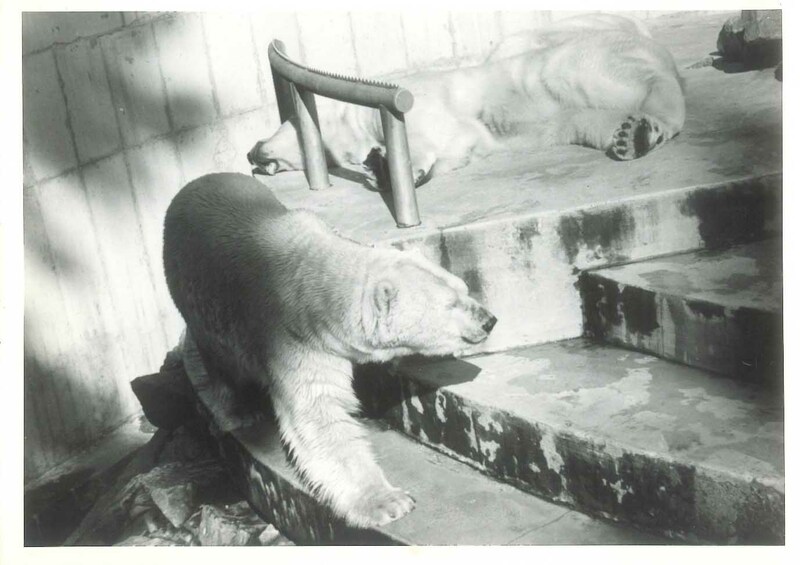 My photo of the polar bears at the Stanley Park Zoo, 1970s. As I have emphasized elsewhere (“About” page), my undergraduate, Bachelor of Science degree is in Zoology (from the University of British Columbia, where polar bear biologist Ian Stirling earned the same degree a few years before me). My core intellectual interest is evolution and that has been true since I was a child. “Zoology (/zoʊˈɒlədʒi/, zoh-OL-luh-jee) or animal biology, is the branch of biology that relates to the animal kingdom, including the structure, embryology, evolution, classification, habits, and distribution of all animals, both living and extinct, and how they interact with their ecosystems.” Wikipedia entry for Zoology. I’ve been fascinated with the Arctic since I was in elementary school, when I read all I could get my hands on about Inuit life and Arctic animals. By the time I was eleven years old, I acquired (after more than a year of pleading) my first Alaskan malamute – the largest of the Arctic sled dog breeds. Keeping and breeding malamutes over many years kept my scientific interest focused on the Arctic at a very personal level. 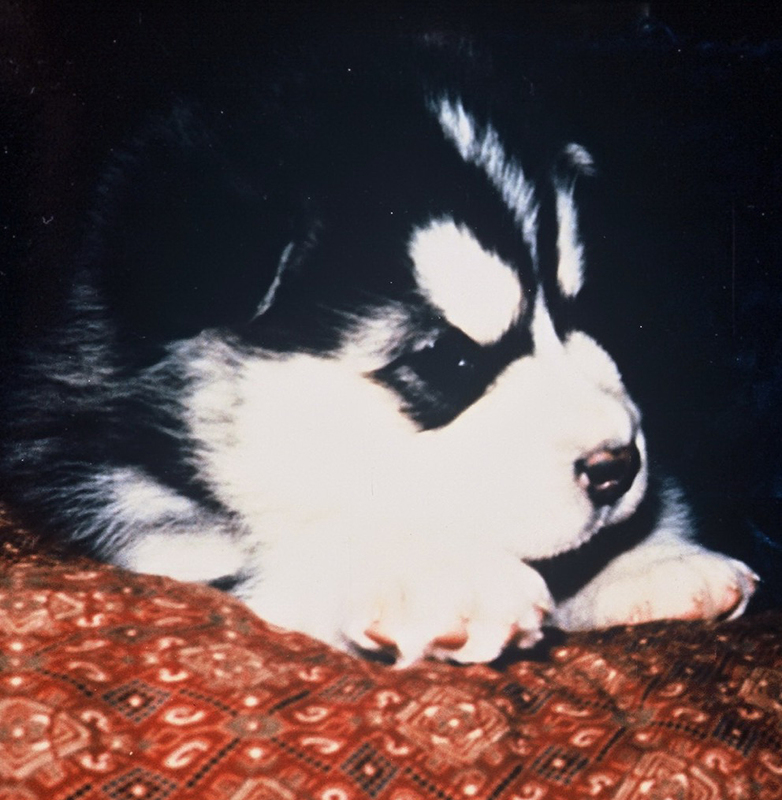 One of our Alaskan malamute puppies. Along with nagging questions of how a wolf became a dog, I was also curious about how animals adapted to their Arctic habitat. A favourite pastime during my teens and early twenties was watching the polar bears at the Stanley Park Zoo in Vancouver. As I watched the bears pace or play in their pool, my mind churned over the amazing phenomenon of seals and bears adapting to a life on sea ice – and wondered how a polar bear came to be in the first place. The fact is, I ended up taking my zoology degree training in a direction I never expected because I didn’t know it existed. I was given the opportunity to learn the practical skill of identifying whole and broken animal bones from prehistoric archaeological sites using a reference library of modern animal skeletons. After the bones are identified, you have to interpret what they mean: for example, were there species represented prehistorically that are now extinct? Were there animals represented prehistorically that depend on sea ice — but sea ice is no longer present? I very quickly realized this was the perfect merger of my scientific interests in evolution and biogeography with my need for a practical skill with which to make a living. It was not, however, a field where salaried jobs were the norm. From the beginning of my career, I worked primarily on contracts paid for specific work on specific projects. The money for the contracts came from research grants obtained by colleagues, government coffers (including both American and Canadian federal and state agencies), or larger contracting companies. My work has never been influenced by which agency or company provided the funds because I was trained from the beginning, as good scientists are, to follow the data. Before too long, however, it was clear that my interest in evolution was refusing to be put on the back burner. I needed more than identifying bones on contract to satisfy my scientific curiosity. Questions about dog origins drew me back into questions about evolution but it was the parallels with how other species arose that really captured my intellectual curiosity. Formulating a hypothesis about how the evolutionary process of speciation actually works at the biological level (in animals like dogs, polar bears, and humans) was the topic of my Ph.D. dissertation, which I completed in 2004. I did that Ph.D. work primarily on my own time and largely without funding. I don’t garden or knit in my spare time: I do the science that most interests me. These days, evolution is almost always on my mind. I am constantly considering implications for evolution and biogeography no matter what topic or project I’m working on, whether it’s archaeological ringed seal remains, ancient dogs, or the current conservation status of polar bears. Evolution, paleoecology, and biogeography (see here and here) are the common denominators that tie these diverse projects together for me. I have published peer-reviewed papers on all of these topics (see the list below), among others. Over the last 20 years, I have been as interested in how, when, and why polar bears arose as a distinct species as I have been in how, when, and why dogs came to be. Neither of those issues have yet been resolved to anyone’s satisfaction: there are still many questions to be answered. Understanding the ecology, life history, and behaviour of a species – as well as its ancestral form – is essential to unravelling its evolutionary history. That means I needed to know about polar bears, brown bears, wolves and dogs, as well as all the animals they all prey upon for food and the habitats they live in. I’ve learned most of what I know about polar bear life history, behaviour, and ecology through reading published academic papers written by polar bear biologists. I continue to learn from them. Scientists learn a tremendous amount from other scientists. Scrutinizing the work of others does not give you a complete education on a topic but then, neither does field work alone. Summarizing the scientific literature is a recognized and accepted method of scientific learning: that’s why a literature review of your field is usually a required component of graduate work. Scientists who do not continue to learn new things after they leave university suffer from being stuck in one mind set. They end up working their entire careers like a cart horse with blinders: they seldom, if ever, think about history or get distracted by related topics. 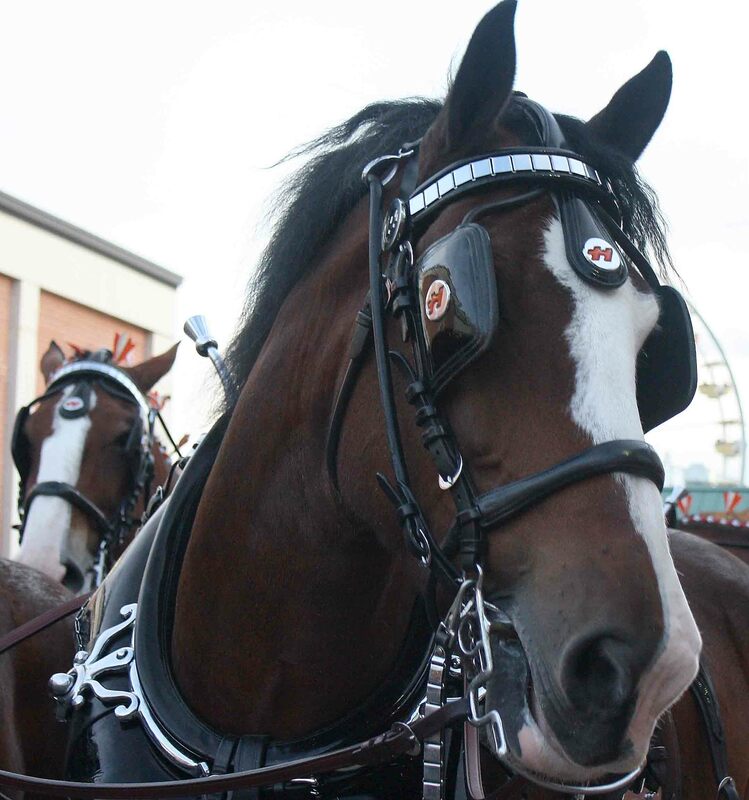 Blinders over the eyes prevent the horse from looking backwards. Original image here, courtesy Wikipedia. There’s no doubt that people who do virtually nothing but analyze the results of their field work (e.g. most polar bear biologists) do make a critical contribution to science. However, every field needs “unblindered” people as well – people who continually consider historical perspectives and seek out the distractions of related topics. Every field needs these big-picture thinkers who are capable of pulling together many aspects of scientific knowledge. I bring just such an essential, big-picture perspective to the issue of polar bear conservation, life history studies, and Arctic ecology. My contributions to polar bear science are vital to the field, even if the data collectors think otherwise. So shame on those who suggest I am unqualified to comment on polar bear research — such lame attempts to silence and discredit me are a ploy to keep polar bear science insular. I understand that my polar bear colleagues have worked their entire careers without any over-sight or serious challenges to their opinions and conclusions. However, they don’t seem to realize that polar bear biology, which only began as a specialty in the 1960s, is rare in that regard. Most fields have several challenging voices that generate healthy and honest debate. The fact that polar bear biology is such a closed shop virtually guarantees that the only way any critical voices will be heard is via internet publishing, like this blog. Ask Dr. Mitch Taylor, he knows. I write this blog in my spare time, without any compensation except the satisfaction of knowing that I’m making an important contribution to science. I care that people get the facts about polar bears without alarmist spin and I’m enjoying the process as I continue to learn. Footnote 1. The sad fact is that there are a few people out there who are so childish and unscientific in their approach to legitimate debate that they repeatedly insist that one particular piece of contract work I took on recently invalidates all of my career knowledge and makes anything I say automatically wrong. That contract was one that paid me (through another company I own) the princely sum of $750 a month (about one day’s pay for me) over a couple of years. The contract stipulated that I generate summaries of peer-reviewed papers that dealt with changing climate and terrestrial animal ecology which I thought might not be covered by the IPCC report. These summaries were compiled into the latest NIPCC report (“Climate Change Reconsidered II: Biological Impacts,” released in 2014), whose purpose was to ensure that a balanced perspective of the literature was available to the public. This endeavor was financed and published by an organization called The Heartland Institute. Heartland had no input on what papers I looked at or what I wrote: I chose what papers to examine and what I wrote about them. The monthly payments ended when the contract ended. I took on the job because I could see from past IPCC reports that the premise of the NIPCC concept was true: there was important literature left out of the IPCC reports that people deserved to know about if they were to make an informed decision about the global warming issue and its effect on animal populations. When I research any issue, I look at all sides. The general public deserved to be able to take the same approach with global warming. People or organizations who suggest that the contract work I did for the NIPCC report was any different from other contracts I’ve undertaken over the last 40 years merely publicizes their gross ignorance about how science works and why scientists do what they do. It says more about them than it does about me. **Crockford, S.J. 2004. Animal Domestication and Vertebrate Speciation: A Paradigm for the Origin of Species. Ph.D. dissertation, University of Victoria (Canada), Interdisciplinary Studies. [filed at the National Library under Zoology; polar bear evolution discussed in detail] Pdf available, just ask. This entry was posted in Uncategorized and tagged Arctic animals, Arctic ecology, biogeography, Derocher, dog expert, evolution, Heartland, identifying bones, life history, paleoecology, polar bear expert, polar bears, publications, zoology. Bookmark the permalink.